"Tiffany is a combination of integrity, skills and great customer service. 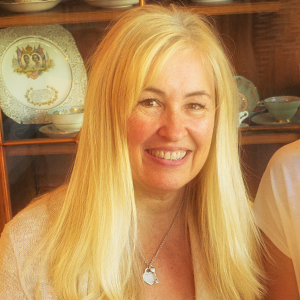 “She has helped me over the last several years with marketing my acupuncture practice with many different projects. She is prompt, sharp, clear and very efficient at what she does. I can't thank Tiffany enough for very patiently walking me through all the different options and approaches that have undoubtedly helped my practice grow, and the way I stay in touch with my clientele." "Tiffany's stellar work and expertise has been invaluable to our professional tax resolution firm. "Any business that is looking to enhance their online presence and expand their customer base should consider bringing Tiffany on as part of their digital team." “Tiffany’s in-depth knowledge of effective online marketing and social media promotional programs enabled her to choose the best initiatives for our company’s needs. — Calli O’Brien, CEO of My Matcha Life Products Inc.
“Tiffany has worked with me on many campaigns and I have been consistently pleased with her professionalism and output.